1488 square feet of living space with 2 bedrooms and 2 baths. Soaring vaulted living area is open to the kitchen and dining area and has sliding doors to the balcony style deck. Master bedroom is also vaulted and features a walk-in closet with built-ins. Lower level has a finished space for a rec room or study. To request a private showing or learn more about 2900 Signature Blvd., contact the Ann Arbor Condo specialists with The Bouma Group, Realtors today at 734-761-3060 or email info@bouma.com. 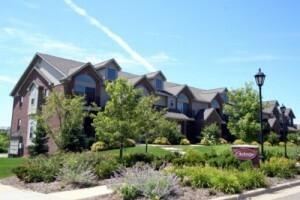 View photos and amenities for Cambridge Condos here! 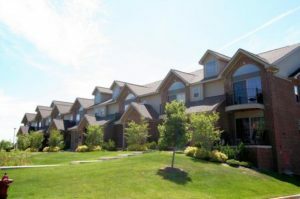 Cambridge is a great Ann Arbor complex, the polished brownstones have many features including cathedral ceilings, walk-in closets, attached garages, and more; the location also offers many nearby amenities. There is currently 1 condo listed for sale and so far this year, 3 have sold. $240,000. 2910 Signature Blvd., Ann Arbor. 1400 sq. ft., + 200 in finished lower level, 2 bedrooms and 2.0 baths. $255,000. 2930 Signature Blvd., Ann Arbor. 1400 sq. ft., + 300 in finished lower level, 3 bedrooms and 2.0 baths. $249,900. 2944 Signature Blvd., Ann Arbor. 1473 square feet with 2 bedrooms and 2.0 baths. $230,000. 2924 Signature Blvd. #30, Ann Arbor. 1488 square feet with 2 bedrooms and 2.0 baths. Last year at Cambridge, 7 condos sold with an average sale price of $231,654 and an average price per square foot of $169.00. The 3 condos sold this year have an ASP of $244,967, up 6%, and an A$/SF of $169.00, the same as last year. To learn more about condo values at Cambridge, contact the real estate specialists with The Bouma Group at (734)761-3060 or email info@bouma.com. View more Ann Arbor condominiums here! There has been a lot of action at Cambridge condos this year. 7 units have sold leaving no available listings at this time. $237,000. 2966 Signature Blvd., Ann Arbor. 1127 sq. ft., +300 in finished lower level, 2 bedrooms and 2 baths. $235,000. 2916 Signature Blvd., Ann Arbor. 1473 sq. ft., +250 in finished lower level, 2 bedrooms and 2 baths. $234,900. 2930 Signature Blvd., Ann Arbor. 1400 sq. 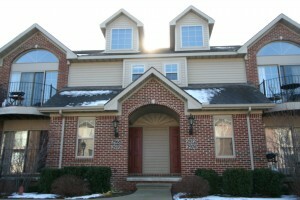 ft., +300 in finished lower level, 3 bedrooms and 2 baths. $234,180. 2980 Signature Blvd., Ann Arbor. 1488 square feet with 2 bedrooms and 2 baths. To learn more about 2970 Signature Blvd. or to request a private showing, contact the Ann Arbor Condo specialists with The Bouma Group at 734-761-3060 or email info@bouma.com. Start your condo search here! Cambridge Condominium complex has a fantastic, central Ann Arbor location within walking distance of Briarwood Mall, Whole Foods Market, parks, shopping, restaurants and more. 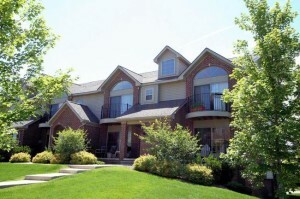 These newer condos feature ranch style units with lower level space and attached garage parking. There are currently 4 units listed for sale with 1 under contract. 2 units are available for rent, with 2 rented out this year and 1 unit has sold. $190,000. 1400 square feet with 2 bedrooms and 2 baths. $195,000. 1400 +143 finished in lower level, 2 bedrooms and 2 baths. $200,000. 1473 square feet with 2 bedrooms and 2 baths. $142,000. 1400 +400 in finished lower level, 2 bedrooms, 2 baths. Under Contract. This is a foreclosure.